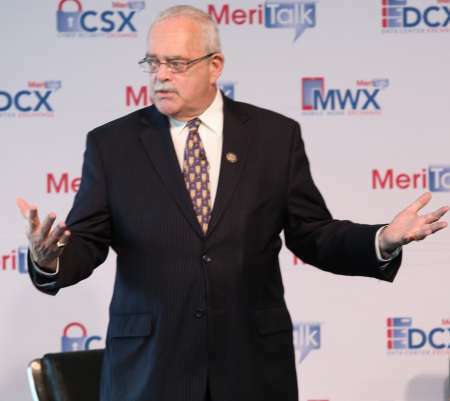 Congress will likely be putting bipartisan pressure on the White House to fill critical IT positions in Federal agencies and prioritize modernization efforts, Rep. Gerry Connolly, D-Va., predicted at the ServiceNow Town Hall on July 24. In particular, Connolly criticized the fact that the Federal CIO position, previously held by Tony Scott, has yet to be filled by the current administration, especially when Scott carried the support of both Republicans and Democrats. Connolly said that he feels the current Director of the Office of Management and Budget, Mick Mulvaney, has an understanding of agency tech needs, but that those imperatives are not coming through in White House policy. Experts have told MeriTalk that the lack of technology leadership has been a problem in pursuing Federal IT improvements. Connolly added that he would be dogged in pursuing current IT-focused legislation, such as the Federal Information Technology Acquisition Reform Act (FITARA) scorecards. “I am a dog on a bone,” said Connolly. He told MeriTalk that he was optimistic about the chances of his FITARA extension bill and the Modernizing Government Technology Act being passed into law, as both have passed the House with a year and a half remaining in the current Congress. Connolly was also critical of the Department of Defense’s management of its IT systems. Connolly said he thinks the only way DoD will change its behavior is if Congress holds the purse strings for ransom. “There are rumblings from the Republican side of the aisle that that might start to happen,” said Connolly.